7,635 pieces available, 24/410, white, ribbed, 2 cc output per stroke, 9 inch dip tube. FOB South Florida. Need to buy dispensing pumps for lotions, creams or gels, but you looking to save a bundle of money? We have you covered with top quality surplus dispensing pumps and lotion pumps used for packaging at closeout prices. Dispensing caps and closures are used on a variety of consumer and industrial products and our brand new Closeout Packaging at clearance prices is just what you are looking for. 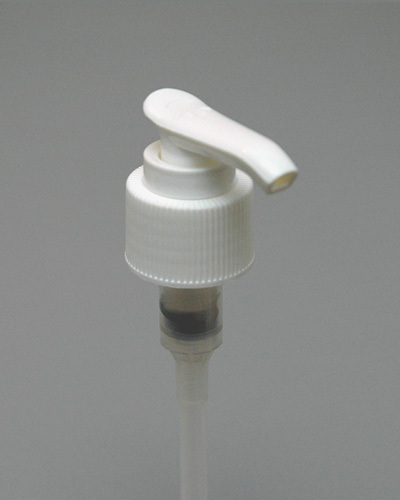 Our dispensing caps can be used on consumer products such as juice and water bottles, shampoos, hand creams and lotions, syrups and other food products and so much more. All of our Closeout Packaging is in stock and ready to ship at once!